Golden brown girl from spectacular genetics. Huacaya female, unproven, light brown. 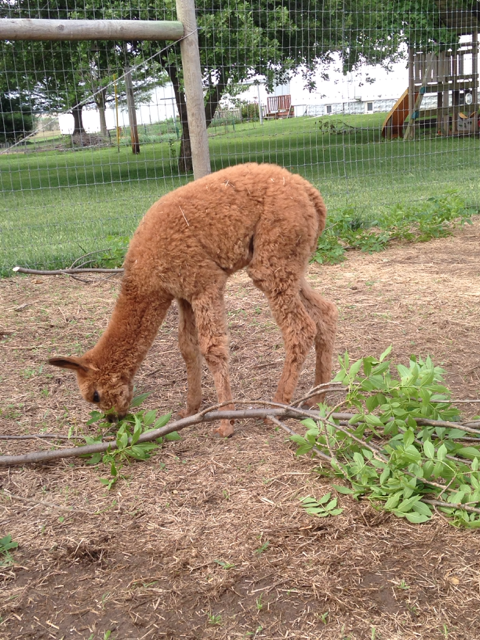 The little girl is the first 100% home bred alpaca for our farm. Her mama Lots of Love’s Amazing Grace is an absolute sweatheart with an impressive show record. Her sire, Saltcreek;s Bonecrusher, is a competition crusher with long staple, lasting fineness and incredible crimp. We love this little girl and cannot wait to see what she does for our herd.